Obituary for John Kirkwood Duke | Williams Funeral Home, P.A. 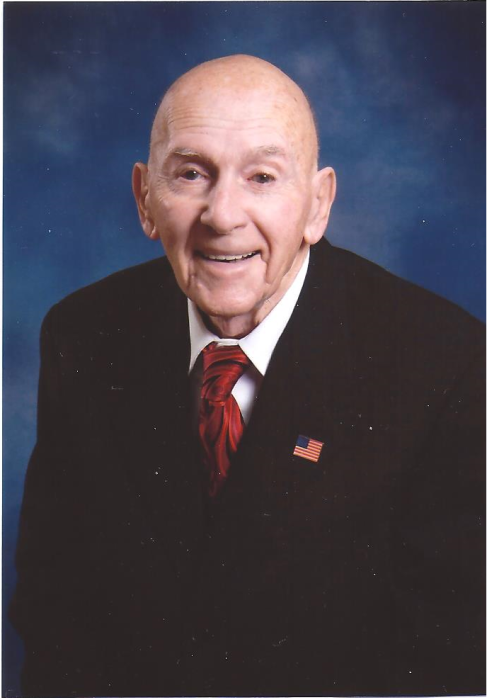 John Kirkwood Duke, 94, of White Plains died February 11, 2019, peacefully at his home. Born November 29, 1924, in Baltimore, Maryland, he was the eldest son of late John Roland Duke and the late Ruth Kirkwood Duke. John joined the Navy as a teenager during the height of World War II. When the war ended, he joined his father as a telephone lineman for the Chesapeake and Potomac Telephone Company. After 40 years of service, John ended his career with the telephone company as a central office technician. He enjoyed many years of retirement and spent his time traveling “up and down the road,” reading several hundred mystery books, and beating everyone at rummy. In addition to his parents, he was preceded in death by his wife of 47 years, Edna Jeannette Duke, sisters Francis Morris and Carole Henken, and granddaughter Jennifer Williams. He is survived by stepsons Bruce Glenn (Kathy), Gary Glenn (Lisa), daughter Ruth Adams (Bob), sister Anne Ziegler and brother Richard (Snuffy) Duke, as well as three grandchildren, 7 great-grandchildren and one great-great grandchild. He also leaves behind many nieces, nephews and cherished friends. All services will be held Friday, February 15 at the funeral home. The family will receive friends between the hours of 10:00 a.m. and 12:00 p.m. with funeral service at 12:00 noon, with Pastor Tim Bean officiating. Interment will be at Trinity Memorial Gardens in Waldorf, Maryland.